The iPads are here! 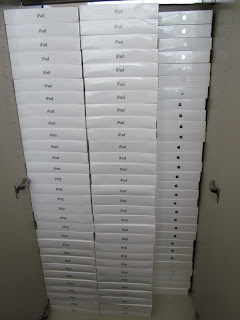 The iPads are here! As you can see...I am a little behind in writing about my iPad journey. When I started writing I thought this may be a post or two. As I reflect on what we have gone through in the last six months to get to the point that we are, I thought it would be a good idea to rewind a little and start reflecting on what I have learned about the process of rolling out 400 iPads. In the next few posts, I will reflect upon what I have learned about this process. The highs, lows and unexpected bumps in the road. If anything, I am writing to document all that I have learned and how I have grown professionally from this experience. So...sit back, relax and enjoy the ride! The first week of April I was fortunate enough to be heading to Cedars School of Excellence for an entire week. Initially I had not planned on spending a week at Cedars, but in hindsight, I was so glad I did. I feel like this gave me a better understanding of how iPads were integrated in a 1:1 environment. It was amazing to see the iPad being used in transformative ways. The device wasn't being used simply as an App device, but rather a creation tool enabling students to express, create, and reflect with. It was truly inspiring to see the kind of learning teachers could get out of their students. My time at Cedars was transformational...it was by far the best professional experience I have had in my 15 years of teaching. In addition, the generosity and sincerity they extended to me was something that I have never experienced from another school. They instantly made me feel like part of their school family and for that I will always hold a piece of Cedars close to my heart. Special thanks to Alsion Speirs, Fraser Speirs (ADE), Lorna Speirs, Elaine Black, Owen Atkinson, Andrew Jewell (ADE), Jenny Oakley (ADE), Emma Rukin, Carolyn Speirs, and Elaine McKenzie-Smith for sharing Scottish culture/customs with me. It's hard to believe that about 6 months ago I was in Greenock, Scotland visiting Cedars School of Excellence. While I have been an avid reader of blogs and tweets for professional development, visiting Cedars was probably by far one of the greatest professional development experiences I have had. It is funny how some things in life unfold...I started at my school at the end of September and new that our division would be making the transition to some type of Apple product...possibly iPads. So...I began doing research and looking to follow people who were blogging and tweeting about their use. After a quick Google search, I began following Fraser Speirs. While I was very intrigued about what he was writing, NEVER in my wildest dreams did I think I would be in Scotland three months later. 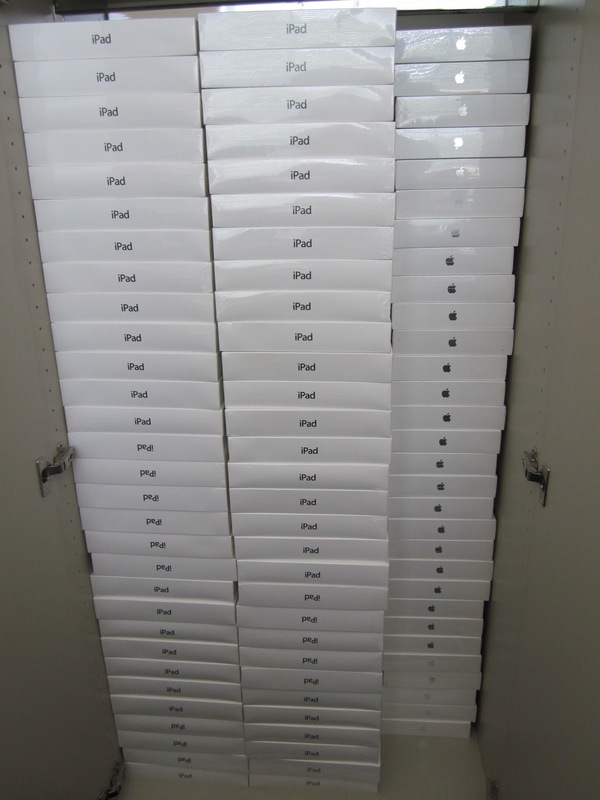 I guess it was sometime in December that we purchased a 10 pack of iPads to "test" out. I took one home over winter break, downloaded some free Apps and just began to tinker. I enjoyed it's ease of use, etc. but wasn't sold 100% on it's use in the classroom, especially in a 1:1 environment. At this point I thought, why don't I email Fraser to get some insight on their 1:1 program. So...that's exactly what I did. I didn't have any expectations and hit send. Well, 3 days later I received a response, I couldn't believe it! It was like hitting the jackpot. I had made contact with...The Fraser Speirs! From this point we Skyped a few times and then I applied for a grant. Well...two months later I was on a B. A. flight headed to Greenock, Scotland to see first hand what was taking shape at Cedars School of Excellence!